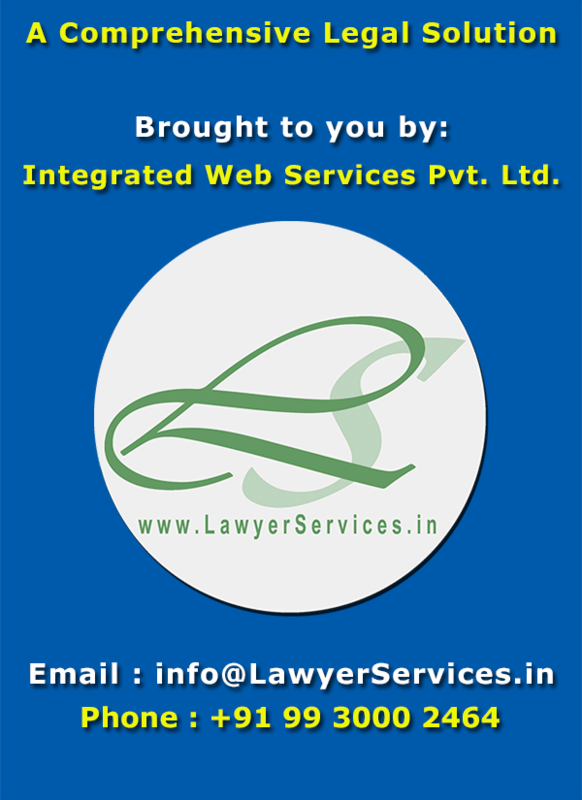 Causelist Alerts, Case Manager, Legal Database, National Judgments, Indian Case Laws, and a lot more. 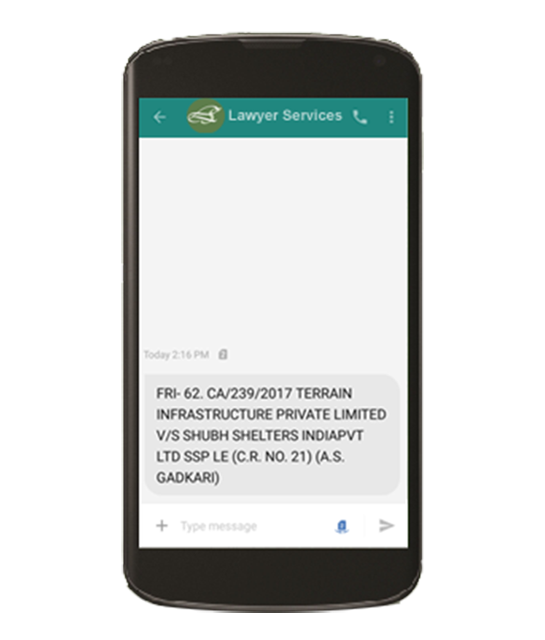 Advance causelist alerts across various courts. Received daily and weekly SMSes for yourself and your staff. Your entire team gets an E-Mail with your board summary, daily. 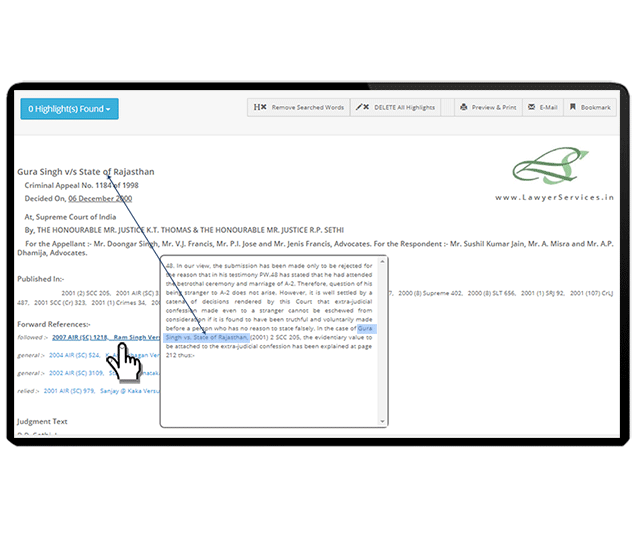 The E-Mail version consists of more details, with remarks, etc, of the courts. 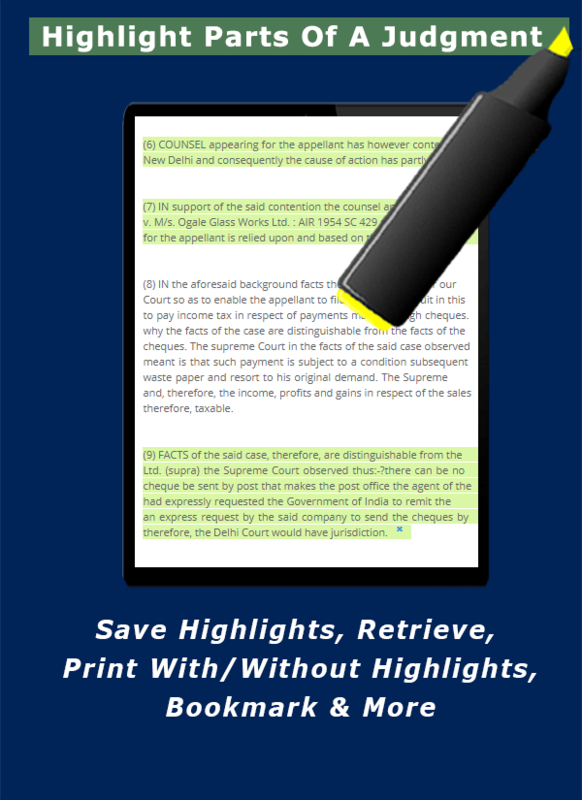 Also, notices issued by courts are E-Mailed to you. 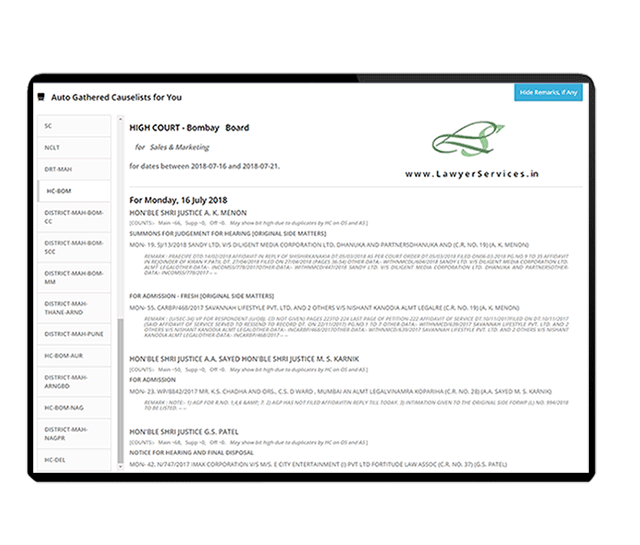 National and International judgements updated daily. 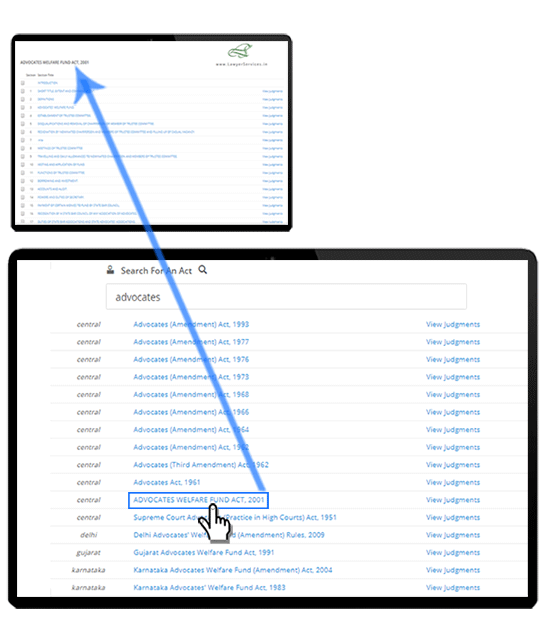 Coverage of comparative citations of over 100 manuals, from all over India. Forward references in the most unique ways. Links to judgements and pop-up views, directly of paragraphs of referred judgements! 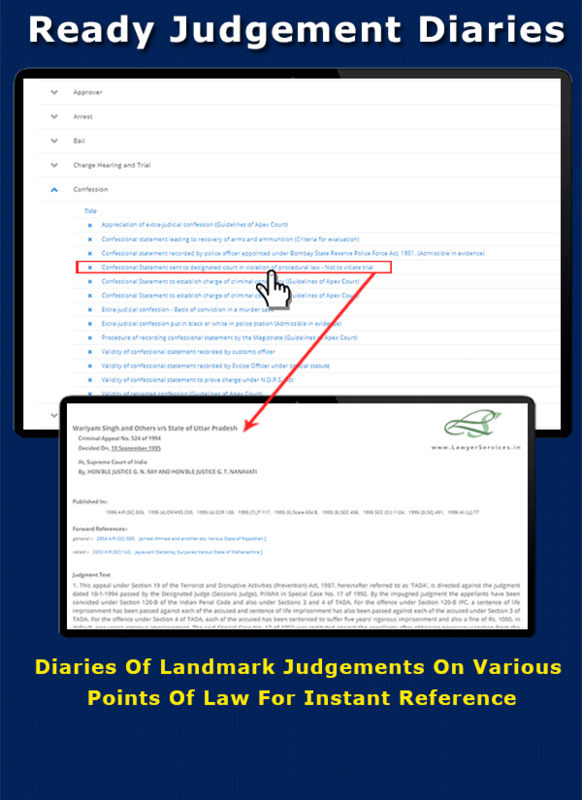 Your case laws or judgements can be linked to your cases, stored in a diary with your own topics and categories, with notes, etc. 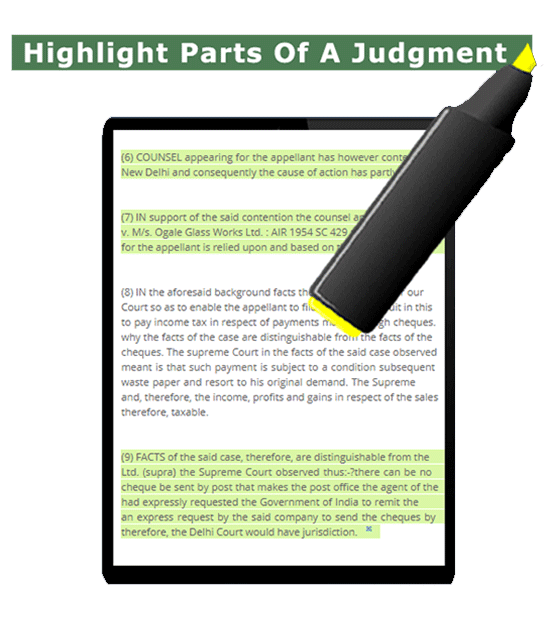 You can highlight parts of judgements, link the highlighted parts from the top of the page for future, print with or without highlights. 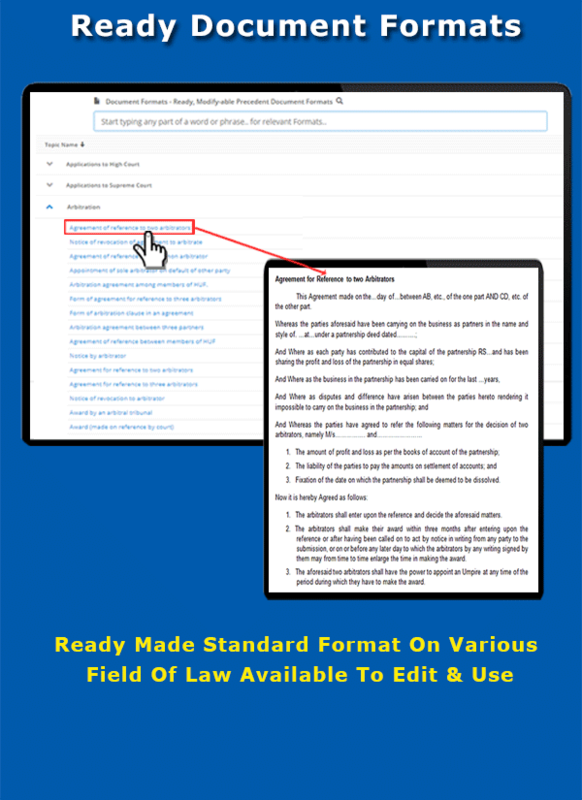 Manage your cases, record them with case dates, roznama, various other information. 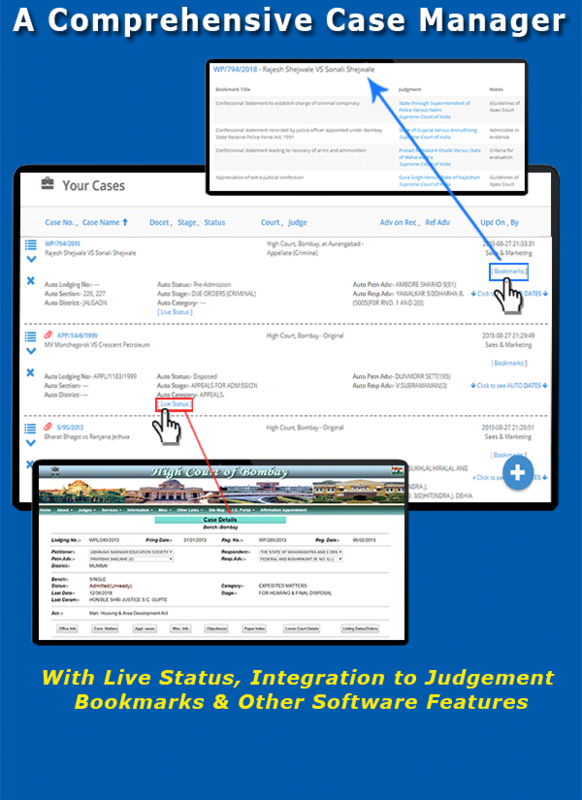 Link judgements to cases, get LIVE status updates, etc. 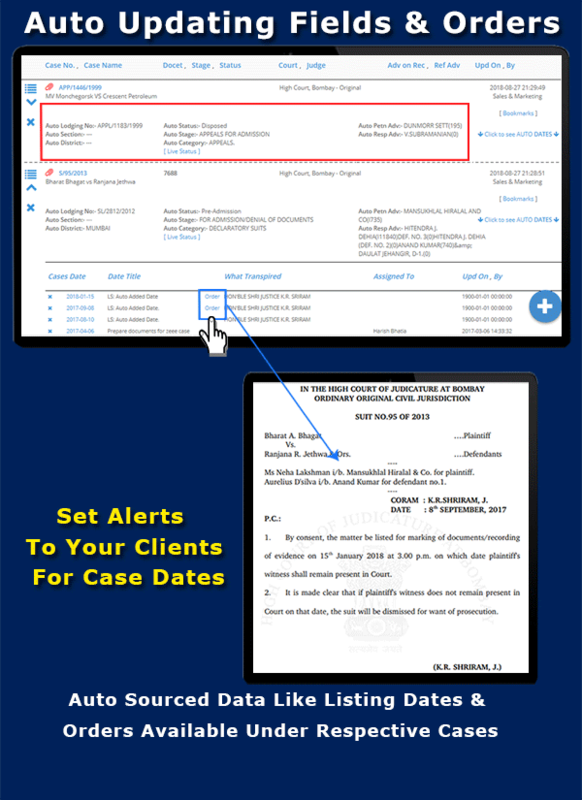 Link clients to cases, and even set SMS alerts for clients for case dates, etc. 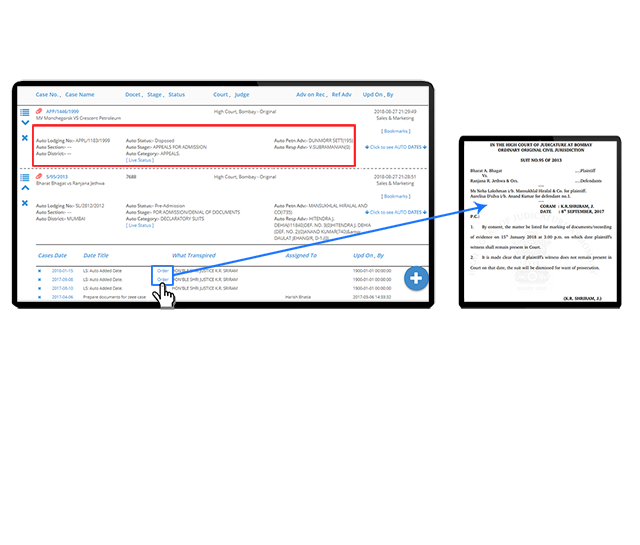 Auto sourced data for cases stored in your account. 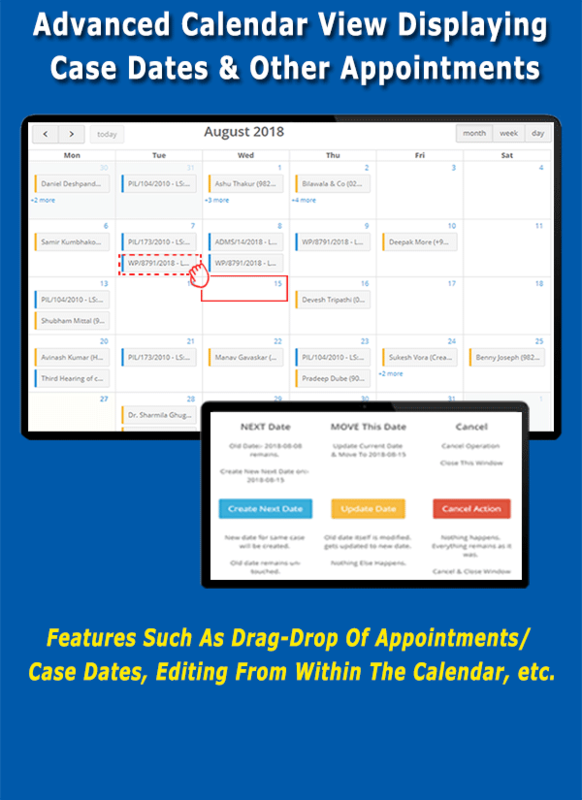 This data may include listing dates, orders, etc for your specific courts. Auto data is updated at regular intervals and alerts are also provided to you on SMS for specific updates. Manage your schedule. 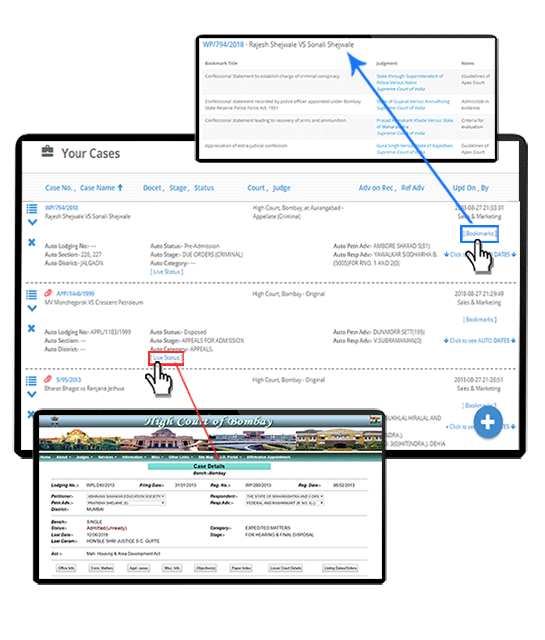 Cases dates added by you (or auto sourced by us), show up on your calendar automatically. 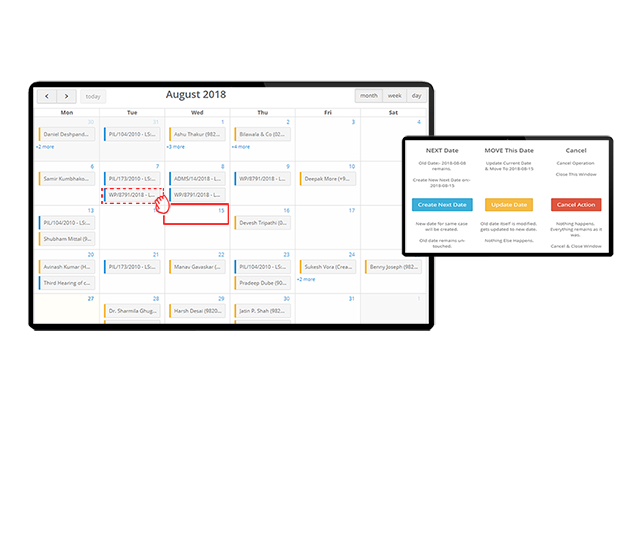 Add more, or add personal appointments, events, etc on the calendar. Also, set SMS / E-Mail alerts for them. Share data with your team. Drafting made easy and time efficient! 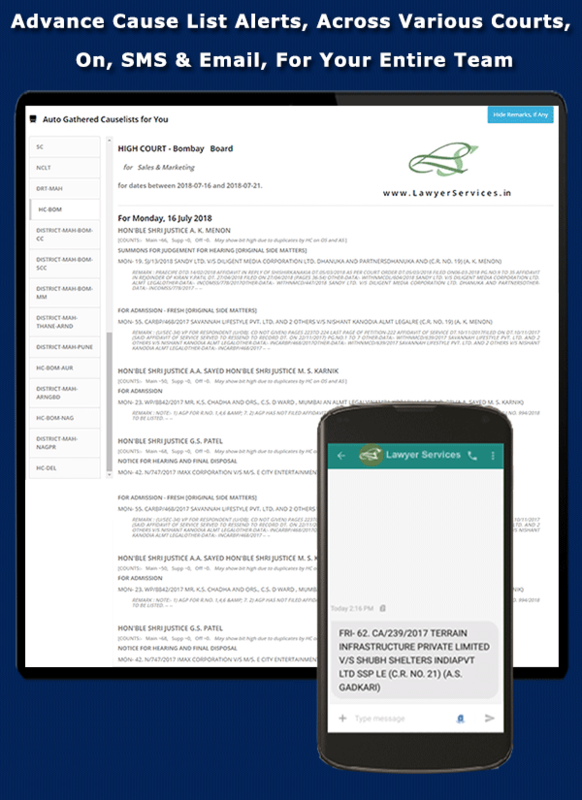 Ready, Precedent Document Formats on various fields of law, available in editable formats, with standardized clauses. You may edit as required and use. 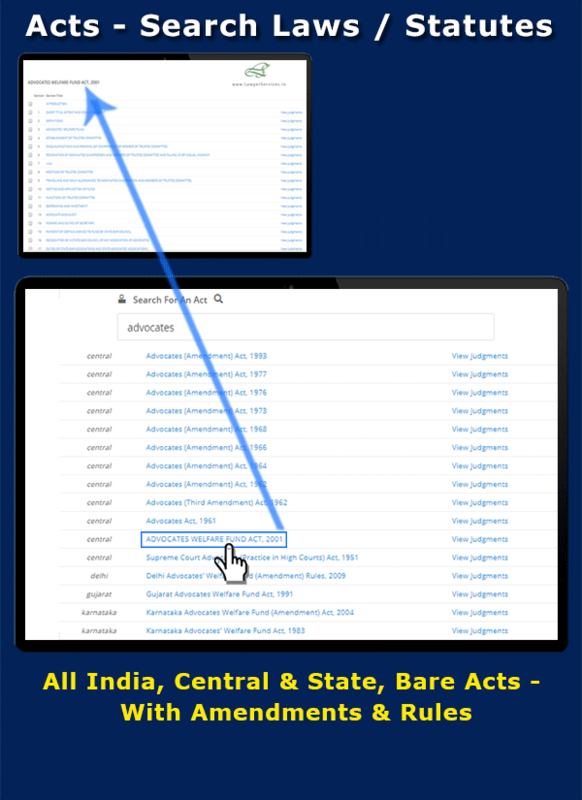 Indian Laws / Statutes / Acts, with their Amendments, and related Rules and Forms available for use and a click. 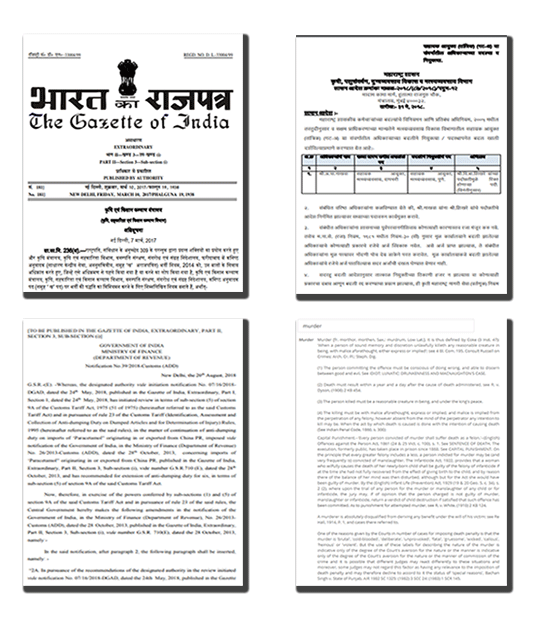 Central acts, State acts and even local amendments of Central Acts. Landmark decisions of courts, organized topic wise. 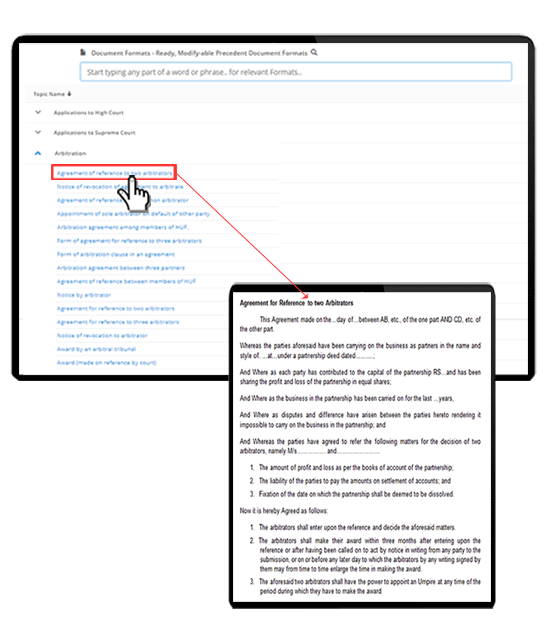 Refer to each topic to see judgements on that topic. 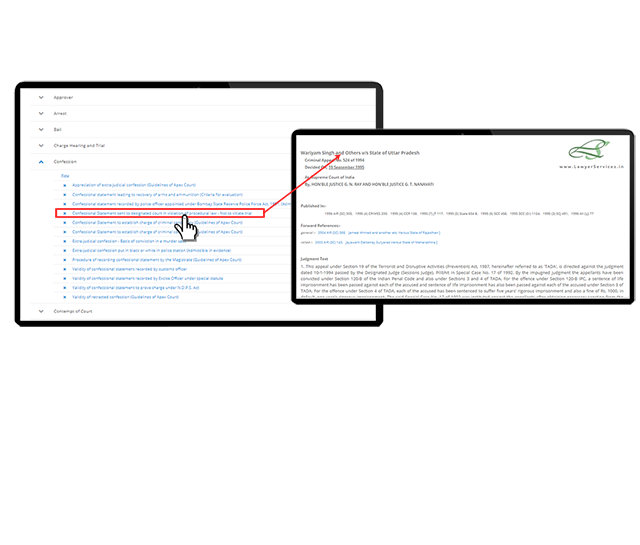 May save you the time of performing a search even! 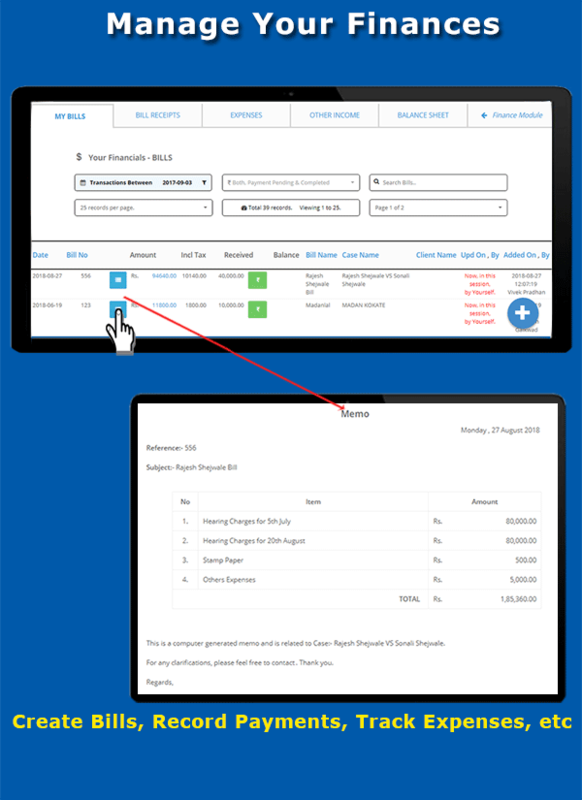 Create Bills in GMS or Rupees. 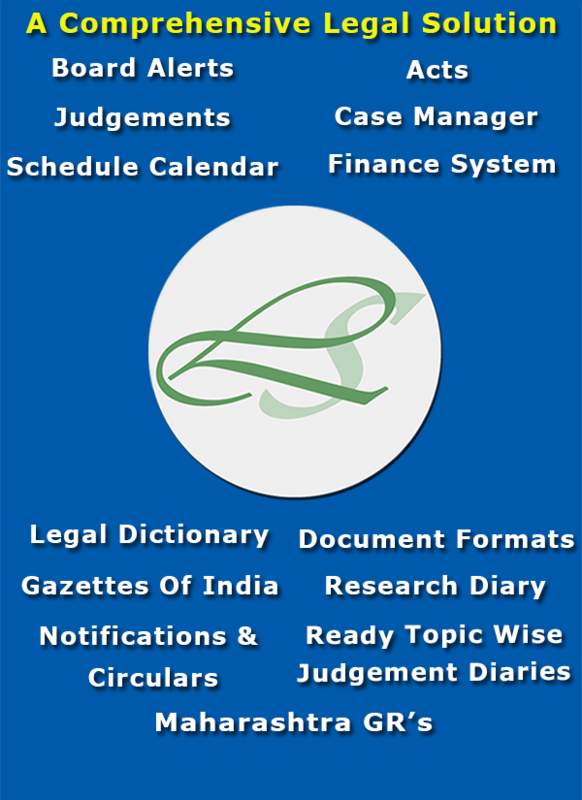 Legal Professional specific Finance system. Record payments, expenses, transactions, etc. 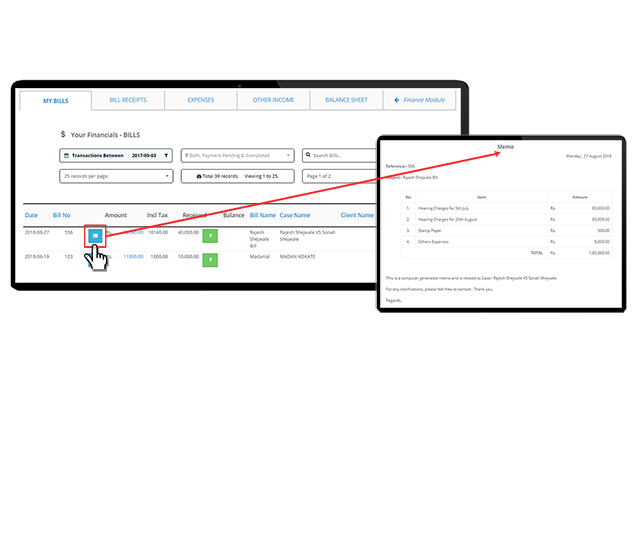 Generate reports, or a balance sheet at a click! 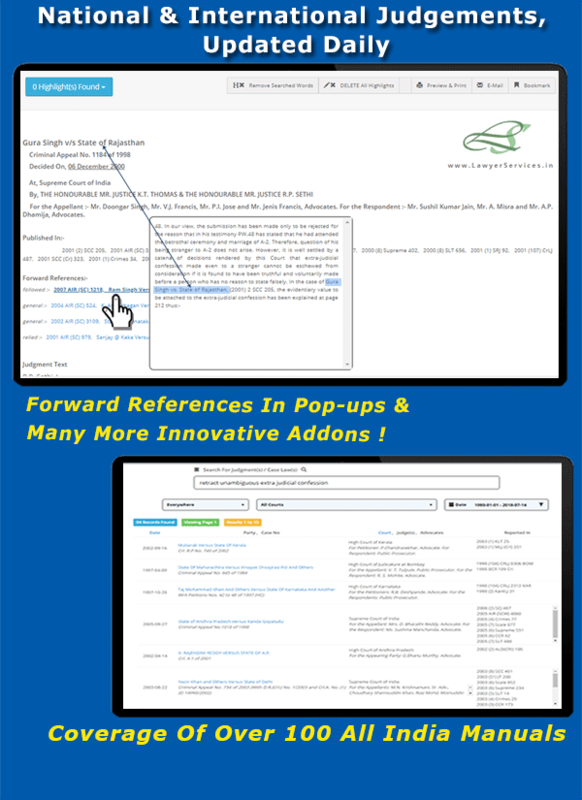 Directories and reference materials! 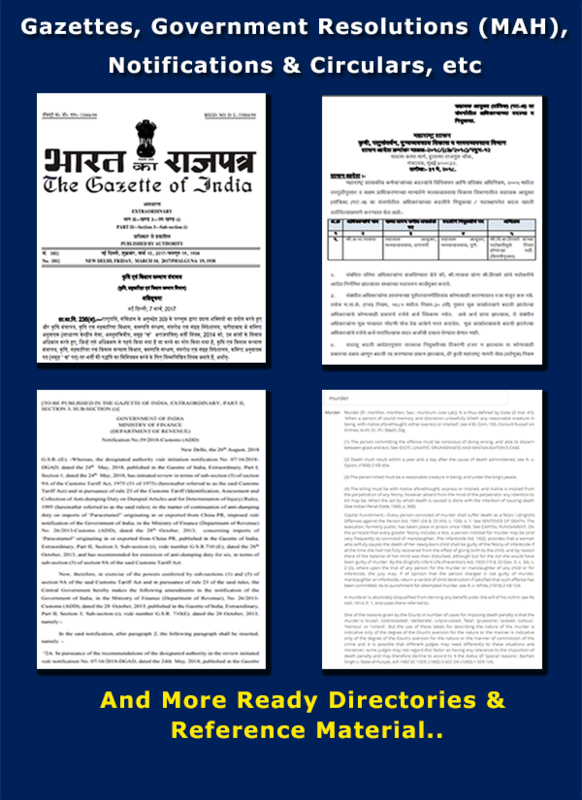 Various kinds of directories, like police station information with jurisdiction, Government Resolutions, Notifications, Circulars of various departments, Gazettes, etc.